Isn’t modern science an amazing thing? Over 500 years after England’s last Plantagenet king Richard III was killed at the Battle of Bosworth Field in 1485, scientists are piecing together his final moments. They can even make a guess what wounds caused his death and which ones were inflicted afterwards. The Guardian has an interesting article about it. The skeleton found in a car park in Leicester a couple of years ago also shows that he suffered from scoliosis, a curvature of the spine. However, this does not automatically mean that he really looked like the hunchbacked villain from Shakespeare’s play, as the scoliosis was not a particularly bad one. One of his shoulders was probably slightly higher than the other, but that could have been concealed with clever tailoring. And the poor man probably suffered from back aches! Leicester University has a picture of a reconstruction of his spine. They’ve also announced that he’ll be reburied next spring – in Leicester Cathedral, not the car park. 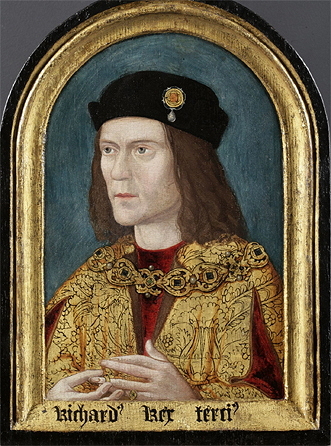 This entry was posted in History and tagged History, Richard III. Bookmark the permalink.